It’s official: spring has sprung in Vancouver. And that means it’s a perfect time to bask in the beauty of the botanical gardens in the area! There are a number of them scattered throughout the city, each diverse from one another and each totally spectacular in their own right. Read more about three of our favourites below and, of course, don’t forget to book your stay with us here at Georgian Court Hotel Vancouver if you’re planning a visit the west coast city. 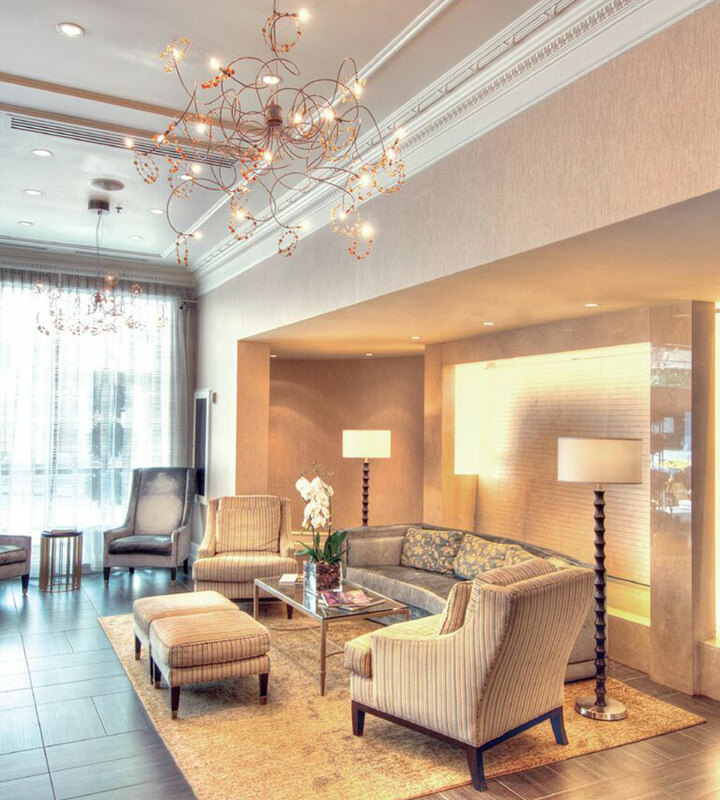 Our boutique Vancouver hotel is conveniently located right in the heart of downtown, with bright and comfortable guest rooms, with fantastic in-room amenities including Nespresso® coffee machines, bottled mineral water, and yoga mats. Make your reservations today. This 55-acre oasis is home to more than 7,500 plant species and varieties from around the world. Along with that, the garden also includes special features including an Elizabethan Maze and a stone garden. It’s also an ideal ecosystems for birds — keep your eyes peeled for the many species that fly among the trees. Located in Chinatown, this is the very first Chinese or "scholars" garden built outside of China. The garden abides by the philosophical principles of Feng shui, which strives to achieve a sense of harmony and balance of opposites — craggy rocks and delicate foliage. Water is also an integral element of the garden, to provide stillness and help unify the other elements. Fish and turtles also live in the garden and are symbolic. Located in the Queen Elizabeth Park, the Bloedel Floral Conservatory is known as one of Canada’s best indoor arboretums “Vancouver’s horticultural jewel.” The gardens change seasonally and include specimen trees, shrubs, perennials, bulbs and annuals chosen for their foliage, form and flower. Vancouver is becoming renowned for its amazing culinary scene, and it’s certainly no surprise as to why.